What is the major product in each of the following reactions? 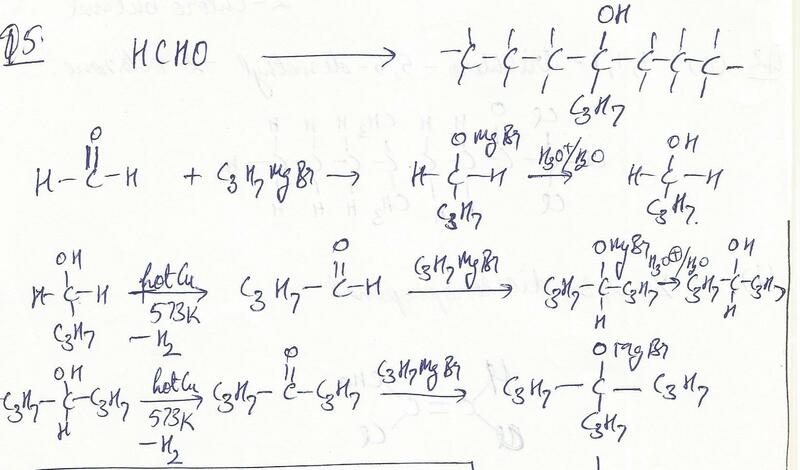 For the SN2 reaction,draw the transition state. Pay attention to the geometry and the partial charges. 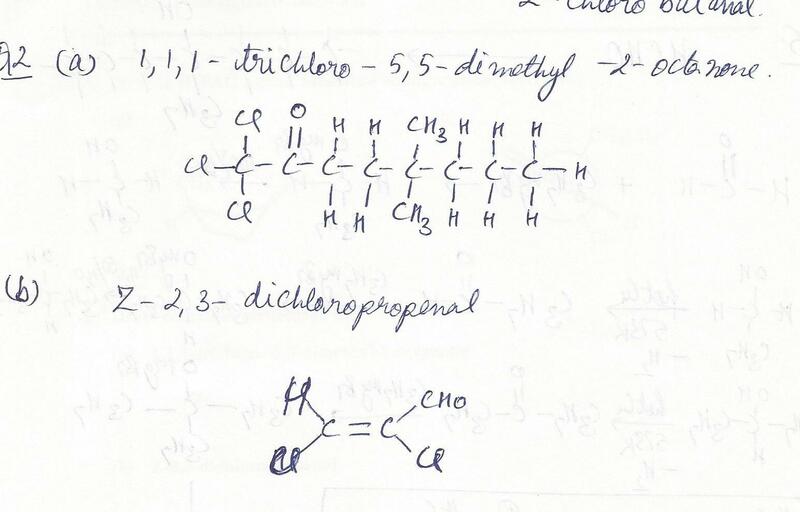 For the SN1 reaction, draw the structure of the intermediate, Pay attention to the geometry. 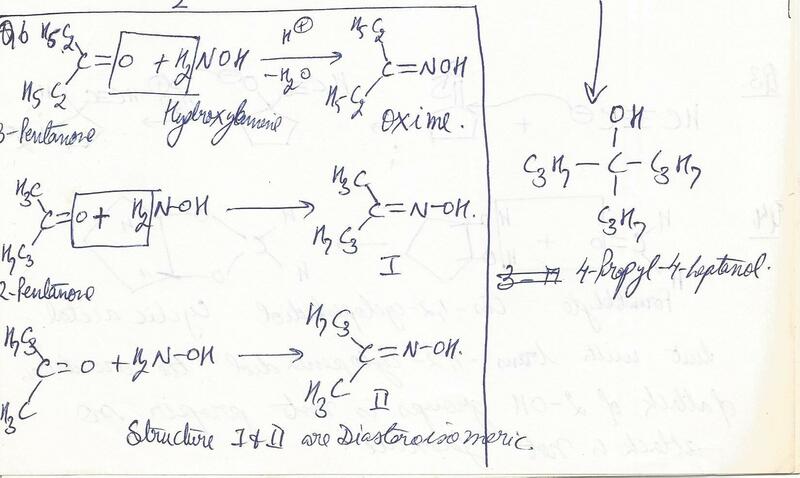 Indicate the mechanism for each reaction using the designation Sn1 or Sn2 above each arrow. Wine turns into vinegar when the ethanol in the wine C2H5OH reacts with oxygen to form acetic acid CH3COOH.suppose 1.12g of oxygen were sealed in a wine bottle that contains 2.28 g of ethanol. which reactnt is limiting, oxygen or ethanol?What would he the theoretical yeild of acetic acid produced? What mass of ethylene glycol (C2H6O2), the main component of antifreeze, must be added to 10.0 L water to produce a soltion for use in a car,s radiator that freezes at-23.3oC? Assume the density for water to be exactly 1g/mL. There is only one oxime formed from 3-pentanone.However, 2-pentanone forms two diastereomeric oximes. Draw their structures. Show all the steps and all the reagents needed to transform formaldehyde into 4-propyl-4-heptanol. With acid-catalysis, one mole of cis-1,2-cyclopentadiol readily forms an acetal with formaldehyde whereas one mole of trans-1,2-cyclopentadiol does not.Explain with the aid of structural formulas. Displaying 1-15 of 78 results.